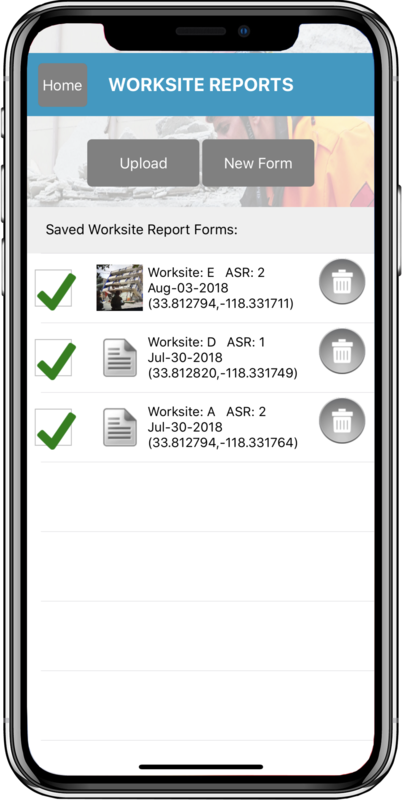 Worksite Report Forms - Disaster Surveyor Systems, Inc. The Worksite Report forms are the overall worksite situation report for rescue counts, deceased victims recovered, current status of operations, and information related to the particular worksite operation such as ongoing worksite planing information, local activities, resources released, any local emergency contact info, and more. The forms comply with United Nations INSARAG worksite report forms. 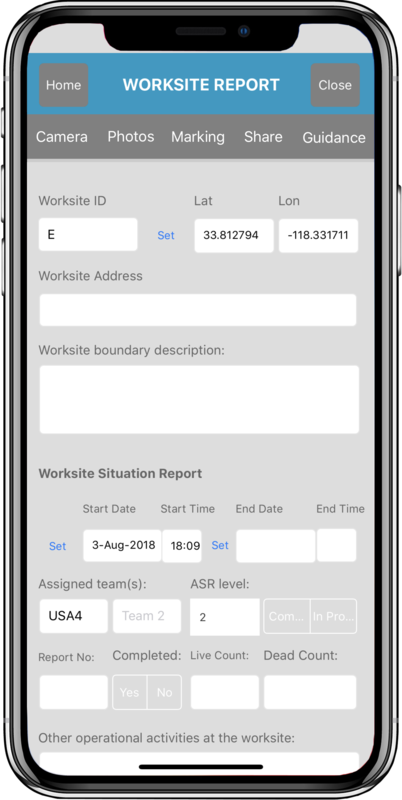 The home screen for your worksite report forms displays a checkbox to indicate which forms to upload when the ‘Upload’ button is pressed and top level info on the form including: Worksite ID, ASR Level, Date/Time, and Lat/long of the worksite. 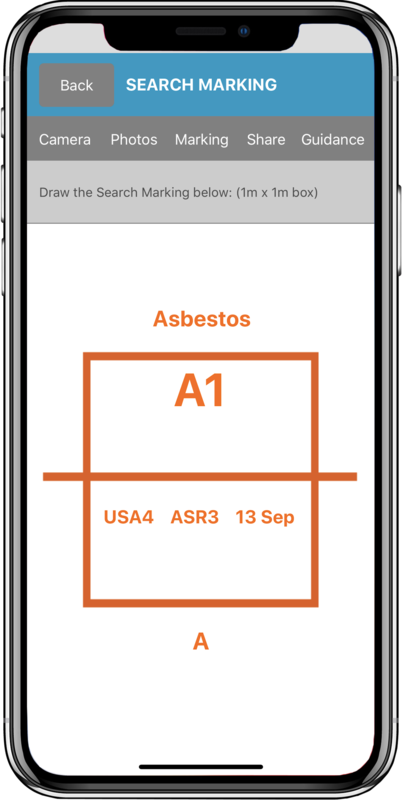 Each form has the ability to add multiple photos taken with the app, as well as 1 finger drawn sketch, some general INSARAG guidelines for the form, as well as the ability to share the form via URL link to another Disaster Surveyor app user, or, if clicked outside of the app by the recipient, to see the full PDF version of the report along with any attached photos and sketches. 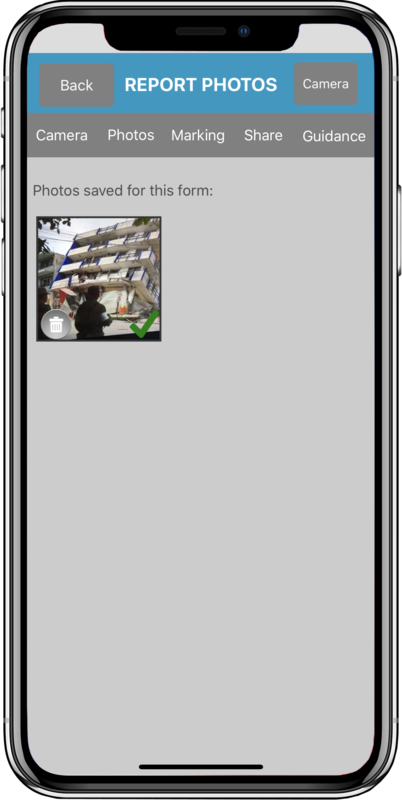 When a data signal is not available, changing the settings to “Offline mode” switches the sharing from URL link, to a text JSON packet that will share the form via Bluetooth to another Disaster Surveyor app user. Automatic identification of which user, what GPS lat/long, and what team ID are automatically saved upon form creation, for use in team group management in the Commander Edition web-based dashboard. Are you a team leader? If you wish to have your account upgraded for free as a Team Admin, please submit an upgrade request using our form here. The Team Admin can manage all team member data and more. Web: Disaster Surveyor Systems, Inc.